See some of our bespoke solutions below. We created this drone for CapitaLand, for a Chinese New Year event. Our custom drones not only replaced a traditional dragon ball for the lion dance, but delivered an auspicious chinese scroll to the CapitaLand Chairman and CEO. 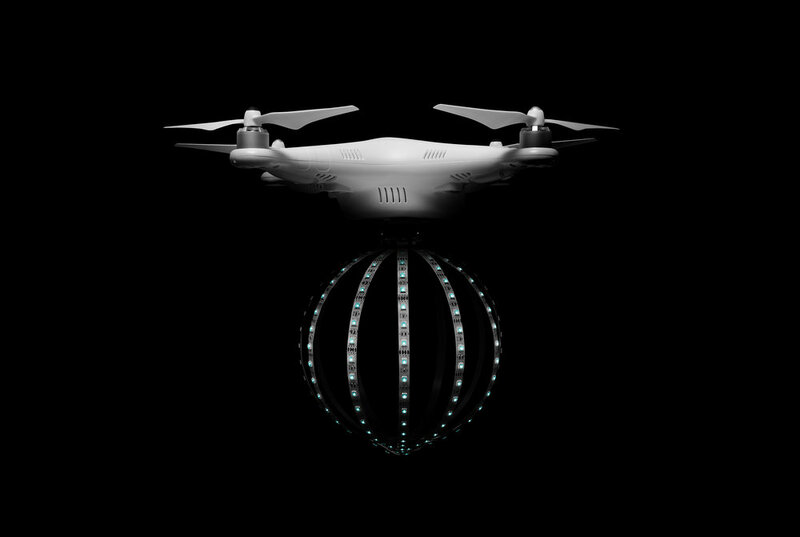 This drone can be used as a 'hovering light platform’ for various events. We designed, built and crafted a concept drone to fly flawlessly at the Intel Solution Summit 2016. This drone was intended as a proof of concept for an intelligent networking system. Designed to be ultra efficient, for long flight times with the ability to be operated individually or as a group. Potential uses include monitoring and guidance, as it is safe for people to interact with the sphere. A special drone, still a work-in-progress, that can clamp on different accessories and fly with it to execute a wide variety of tasks. Want to build-your-own drone? DON'T TRY IT AT HOME. Our drones can be built to perform spectacular moves, shooting action sequences, access specific locations where cameras can’t go, and we can work with you to ensure safety and minimum interference for your event. We have a high degree of expertise in assessing specific locations for aerial camera angles and establishing suitable landing sites for the drones with no disruptions. In order to implement these customized moves, we do in-depth research and planning of aerial sequences, as well as obtaining any permission required.